A Real Number is an object that lives somewhere on the real line. If the number lives to the right of zero, it is a positive number and if it lives to the left of zero it is a negative number. Zero is the center of the Universe. Imagine now, if all you could do in this world is walk up and down a line. Assume you could only walk to the left and to the right and you couldn’t walk straight, or backwards, or in circles, or you couldn’t jump up and down. Life would be pretty boring. Still, if all you knew since birth, was that you could only go to the left and to the right and you never need to go in any other direction, life would be OK. Similarly, the real numbers were OK for a while. 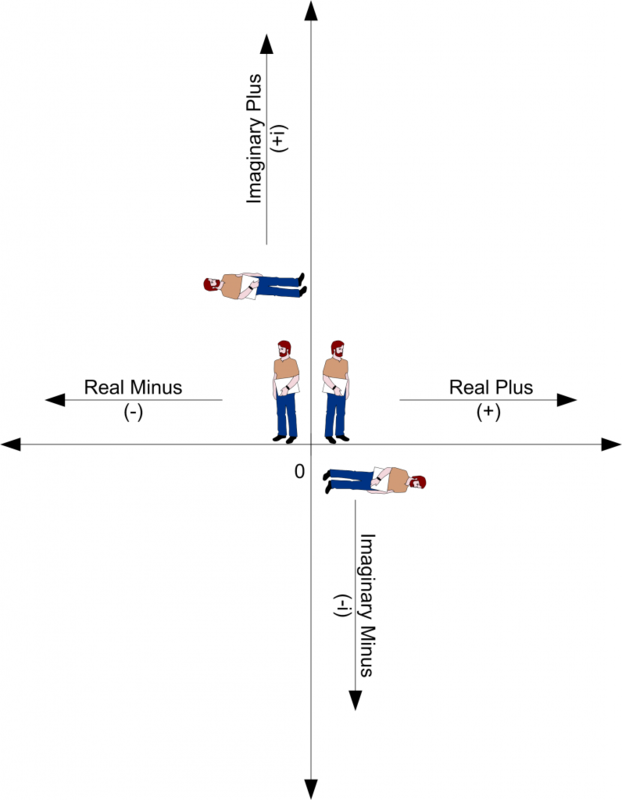 By going to the left and right on the real line, numbers can do subtractions, additions, multiplications, divisions, absolute values, and many other mathematical operations. Then, one day, the real numbers discovered the operation of square root. Square root of positive numbers worked out fine, but when trying to apply it to negative numbers, the operation failed miserably. As soon as the operator square root approached a negative number, it was pushed back with such a force that operator square root one day exploded. That’s when the real numbers realized that life on the real line was not so fancy after all, that something must be wrong with the picture of the real line. The numbers now figured out that they can go left and right and up and down. Why then, stop at only two directions? Why not go in three or four, or more directions? And so they did and that’s how the vector was born. 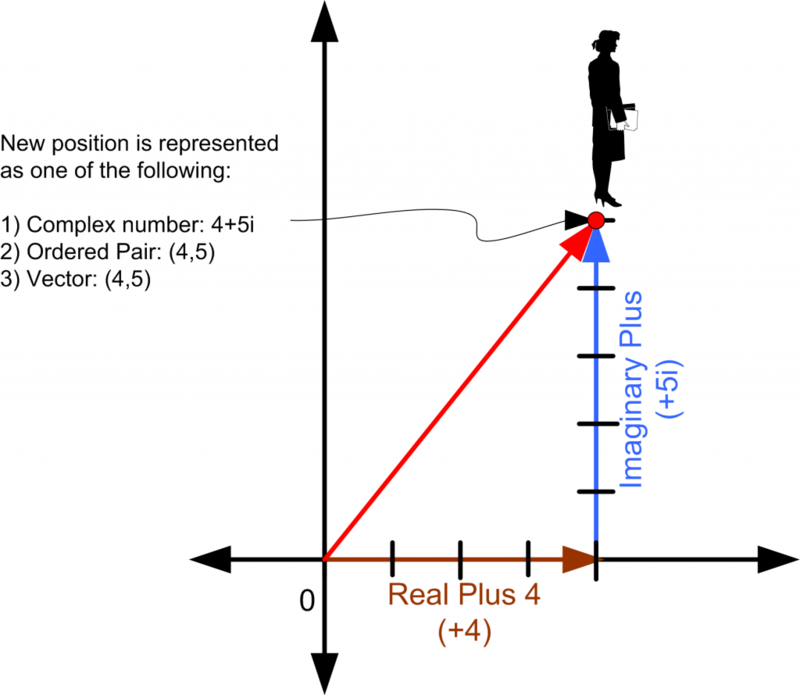 A Vector: is a pair of two or more real numbers. Each of the different numbers in the vector can go in different directions — which by the way do not have to be orthogonal (perpendicular) to each other (more on orthogonality later). Realizing that a pair of two or more numbers form a vector, the vectors asked themselves: what will happen if a bunch of vectors were to get together? The answer, as you might have guessed it, is how the matrix was formed. A Matrix: is a pair of two or more vectors. The fun begins when we start adding operators to all these numbers and groups of numbers. In future posts we will look closely at some of these operators.